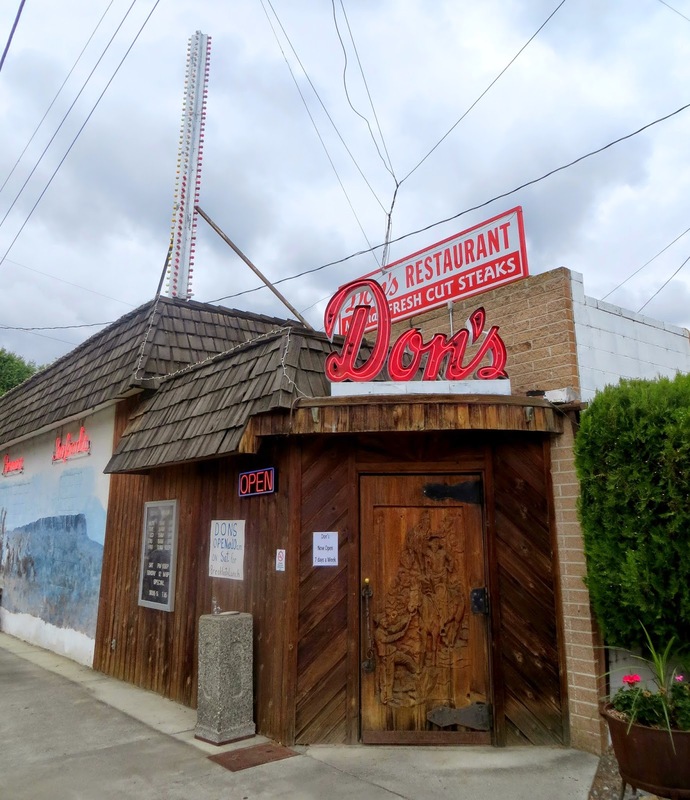 Don's Restaurant has been here just off the southern edge of the white-rimmed edges of Soap Lake since the early 1940s. 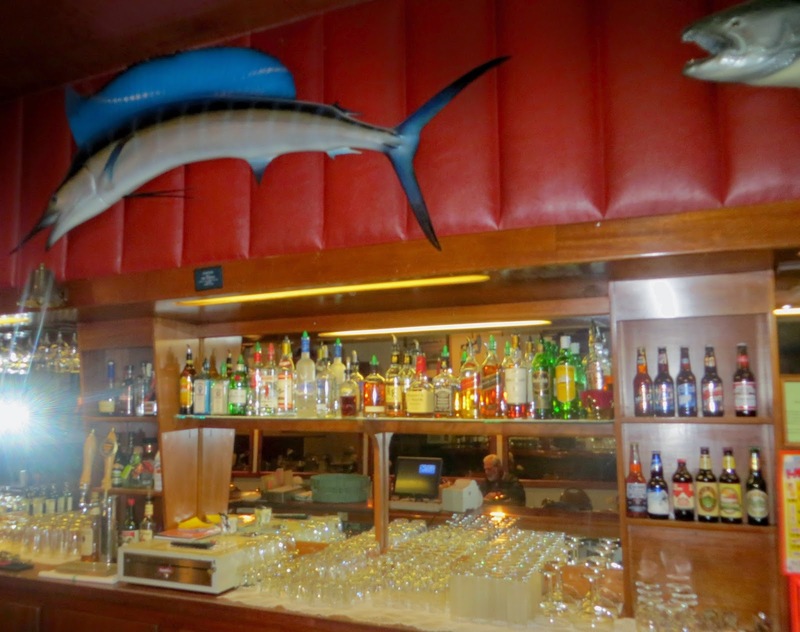 It has survived the economic downturn and declining population of the area -- the struggles that inspired plans for erecting a 60 foot high lava lamp downtown -- serving the sort of classic American steakhouse menu that now caters mostly to old people. 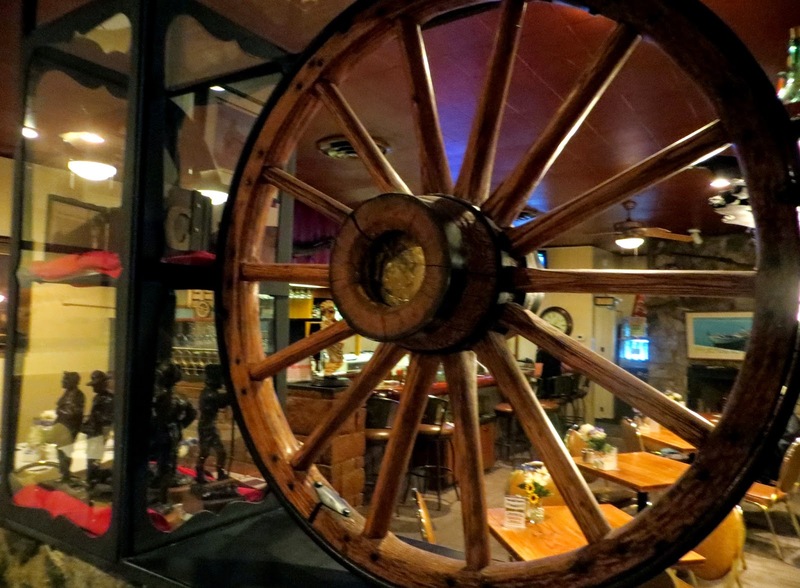 The lounge off the dining room is old school as well, with a lacquered bar with embedded arrow heads, a conestoga wagon wheel, and fishing taxidermy hanging on a pleated, read leather wall. Jim Notaras and his family own the place, and used to own the lodge next door, including the members only businessman's club, which is not a strip joint, and which Jim tells me has the only remaining liquor license in the state of that certain type. 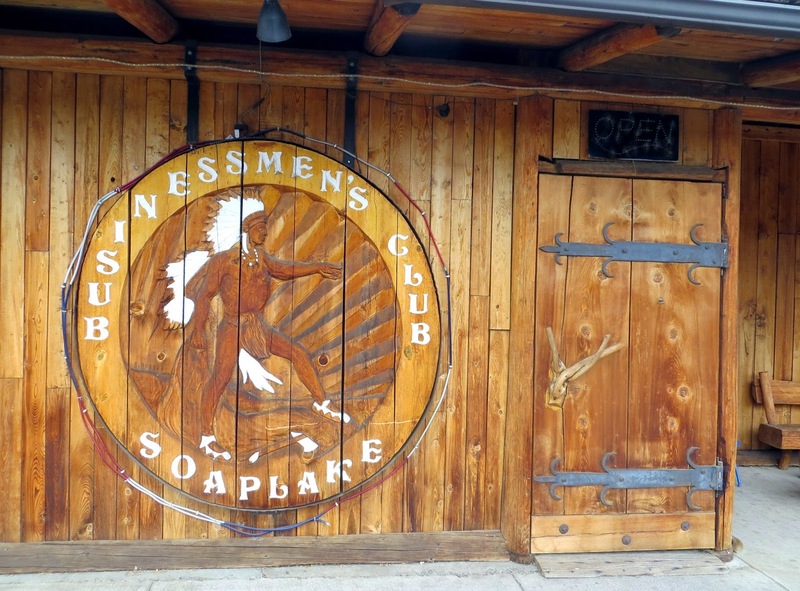 The Soap Lake Businessman's Club has over 1,500 members, Jim says. Their big annual salmon feed costs $25 but is free for members, and membership cost $20. 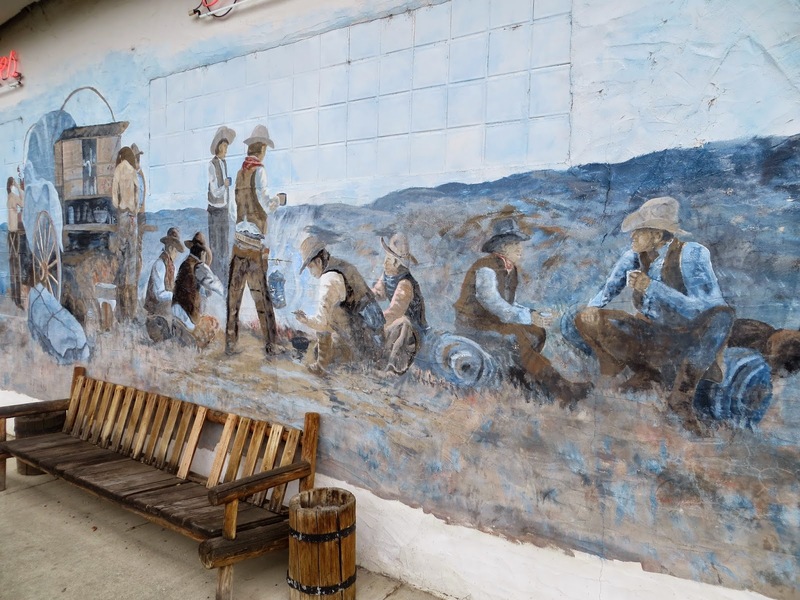 The soapy water and unusually high mineral content of the lake to the north have been believed to have healing powers by various peoples, from the local Tsincayuse tribe, to 19th century European immigrants, to new agers and Russian immigrants today, but people come in much smaller numbers these days. Lord knows I'd be one of the first to plan a trip over the Cascades to visit a small town in the middle fo the state with a giant lava lamp, but the town's been talking about that for a decade now and still hasn't found a way to afford it. But even without a kitschy attraction or much belief in a lake's healing powers, it's a fine drive along the thread of lakes along the old grand coulee on a summer day. So I expect to revisit Don's every now and then, and if I'm lucky enough to make it during the salmon feed, I might just become a member.